Welcome to KokernotField.com a website dedicated the the historic West Texas Ballpark in Alpine Texas. History Kokernot Field located in Alpine, Texas. 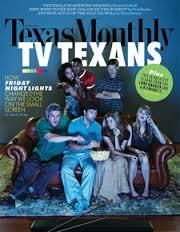 The field has been called "the Yankee Stadium of Texas" by Texas Monthly magazine, as well as a historic landmark. An estimated 6,000 attended a 1951 exhibition featuring Satchel Paige's St. Louis Browns versus the Chicago White Sox. Future Major Leaguers Norm Cash and Gaylord Perry also played on Kokernot Field. The stadium was constructed in 1947 by Big Bend Region rancher Herbert Lee Kokernot Jr. for his semi- professional baseball team. Red clay for the infield was hauled in by boxcar from Georgia. Native stone quarried from the Kokernot Ranch was used to construct the outfield wall and grandstand. The Kokernot Ranch "06" brand was incorporated into numerous decorations throughout the stadium along with intricate ironwork of baseballs complete with painted threads. The stadium was built to seat 1,400 people. Lighting was installed in 1958. Ownership of the field was turned over to the Alpine Independent School District in 1968 after Sul Ross discontinued their baseball program and semi-pro play ceased in Alpine after the 1961 season. Sul Ross' baseball program was revived in 1983. The field is currently home to the Sul Ross State University Lobos, Alpine Bucks and the Alpine Cowboys in the Pecos League, formerly the Big Bend Cowboys of the Continental Baseball League through a lease arrangement. 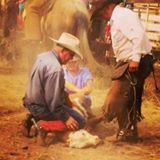 Kokernot has been home to over 10 Cowboy region and league champions, as well as numerous Alpine High and Sul Ross State conference championships. The legacy continues and the tradition of kokernot field stays strong each game that is played at the historical treasure. The Big Bend Cowboys played the final game in the Continental League defeating the Las Cruces Vaqueros in the 2010 Championship The Alpine Cowboys of the Pecos League won the 2012 Pecos League Championship and hosted the 2014 Pecos League Championship. In 2014 the Alpine Cowboys were finally allowed to sell wall sign banners. For decades this was not allowed in Kokernot Field. The Big Bend Cowboys doubleheader against the Coastal Kingfish of the Continental Baseball League on 17 May 2009 was the first professional baseball played at Kokernot Field in 48 years. Currently the Alpine Bucks play their high school games in Kokernot Field. The Sul Ross State Lobos play their home games in Kokernot Field. 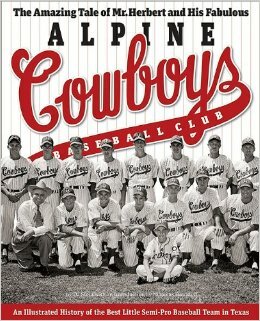 The Alpine 06 Cowboys play in the Pecos League of Professional Baseball Clubs.